So far as I know, the Penguin POW editions are the only UK paperbacks produced specifically for distribution to British POWs held in enemy camps, although large numbers of other books were sent out through a special permit scheme. 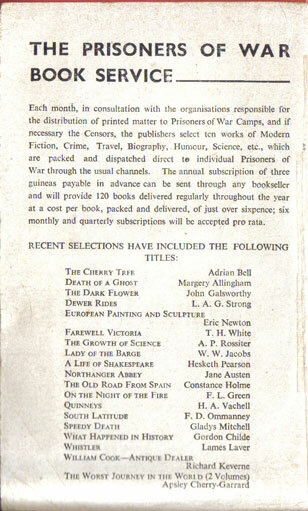 The Penguin POW editions were based on a similar subscription scheme to that used for the Penguin Forces Book Club (see my post of 29 May 2010) and although some changes were made, it seems not to have been much more successful. 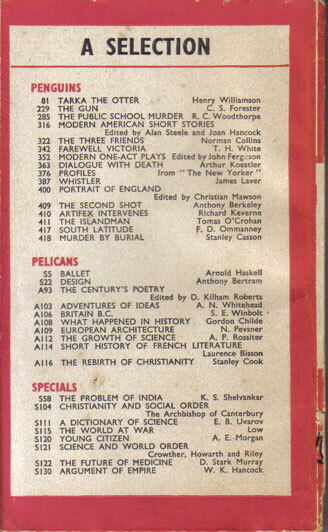 Subscriptions for monthly selections of ten books were offered through ‘The Prisoner of War’ magazine to relatives of POWs. Quarterly or six monthly subscriptions were available as well as annual ones, and the price came out at just over 6d a book. The scheme launched in March 1943, so 5 months after the Forces Book Club, and continued for at least 9 monthly selections, possibly more. Not only were the majority of the titles ones that had already appeared in the Forces Book Club, but the books themselves appeared to be FBC editions rebound in a new cover. Given that the failure of the FBC must have been apparent well before the launch of the POW scheme, it rather looks as if it may have been little more than a way of using up some of the spare copies left over from the FBC. From their outside appearance the POW editions look much like normal Penguins, and are distinguished only by a notice about the Prisoners of War Book Service on the inside cover and a list of titles on the rear cover. Copies sent to a POW camp would normally have a censor stamp or other markings on, but I have never seen a Penguin POW edition in this condition. Almost all of the copies now found show no evidence of ever having seen a prison camp and were probably recycled as standard Penguins within the UK. Although it may seem natural that few paperbacks sent out to prison camps would survive, it’s noticeable that this is much less the case for German POW editions. I’ll cover these in my next post. One final comment though on the Penguin POW editions, that again casts doubt on how many of them were actually sent abroad. The range of titles found in the POW format includes several that could not conceivably have passed the German censor, such as ‘The escaping club’, ‘The tunnellers of Holzminden’ and ‘Modern Battle’. 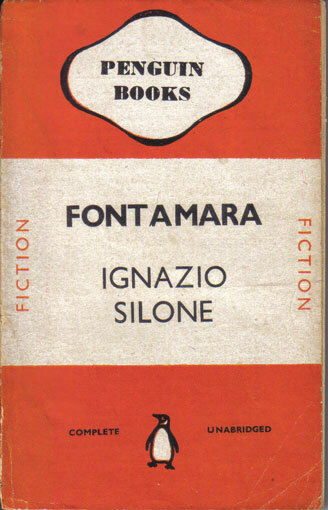 Were these printed in POW format by mistake, or did someone at Penguin have a sense of humour? ?The tunnellers of Holzminden? 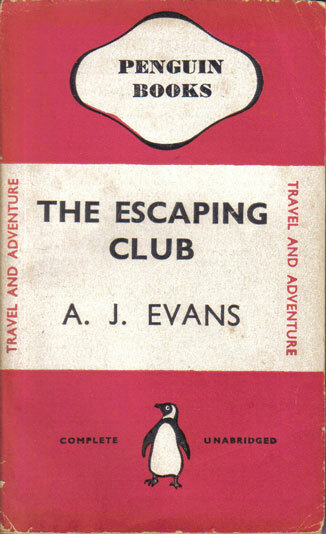 was certainly included in the book club set up between the PoW department and Penguin (ref. "Print for Victory", p159). It doesn't explain how that worked with the censors.